Language, Corpus and Empowerment applies a novel corpus-driven approach to the exploration of the concept of empowerment in healthcare. The book proposes an innovative corpus-based methodology for finding evidence of empowerment in language use, using data from a video intervention delivered to families of deaf children, as well as assessing the effects of the intervention on the family. makes a valuable development in the assessment of the impact of healthcare interventions and the language of empowerment. Insightful and ground-breaking, Language, Corpus and Empowerment is essential reading for anyone undertaking research within corpus linguistics. 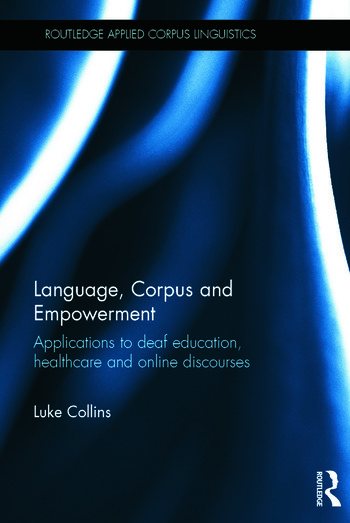 Luke Collins is a researcher with the Centre for Research in Applied Linguistics (CRAL) at the University of Nottingham.